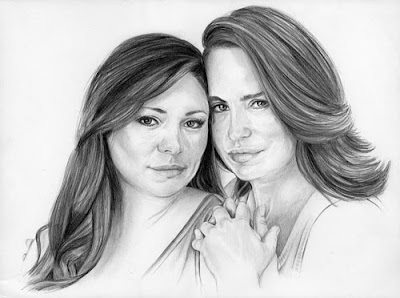 I did this drawing of Otalia (Olivia and Natalia) from the Guiding Light. This picture is from their new web series coming in November http://www.venicetheseries.com/ . Check it out if you haven't yet. Hi just wanted to say that your art is amazing and very impressive :) I hope you have a wonderful day! Hey! This is Great!!! I love your pencil renering!! Very close to the real photo!